fun fun fun – Ryann’s Style Set! I let my 9 year old Ryann design her firs Polyvore set — this is what she came up with! She picked out all the items (I just made them bigger)! #youngstylist #teachingherearly #toocute! fun fun fun – Ryann’s Style Set! by citystyle412 featuring jean shorts Continue reading fun fun fun – Ryann’s Style Set! The Style Awards recognizes the leading men and women in fashion, business, and the arts and honors them for their extraordinary accomplishments. Join us for the Style Awards Friday, August 19, 2016, 7:00 p.m. – 9:00 p.m. at Revel + Roost. 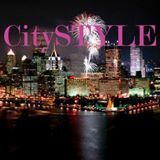 Previous Style Awards honorees include Renee Piatt, Harris Ferris, Demeatria Boccella, Stephanie Taylor, Diana Misetic, Philip Pelusi Salons, Studio RAW, Vanessa German, Vanessa Doss, Jackee … Continue reading Vote Now for The Style Awards! CitySTYLE Halloween – 80’s v 90’s Costume Party Ideas! If you know these lyrics – “This year Halloween fell on a weekend, Me and Geto Boyz are trick-or-treating.” Then you need to be at the dope, fresh, bomb 80’s v 90’s Costume Party on October 30th! Hosted by our home girl Tenel – owner and head stylist of Dreamz Hair Salon, you’re sure to have fun and get the party started RIGHT! If you … Continue reading CitySTYLE Halloween – 80’s v 90’s Costume Party Ideas!